The James F. Doughty School hosts multiple Fun Nights throughout the school year. 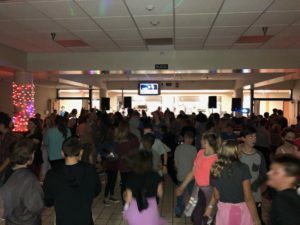 Fun Nights include basketball and volleyball in the gym, while a DJ plays music in the cafeteria. Each event runs from 6:30 to 8:30 PM and is sponsored by the JFDS Student Council. Admission to each Fun Night is $3.00, and food and drinks are sold during the event. Administrators and faculty chaperone each event. JFDS Fun Nights are open to current JFDS students only and all school rules, including the dress code, apply to these events.